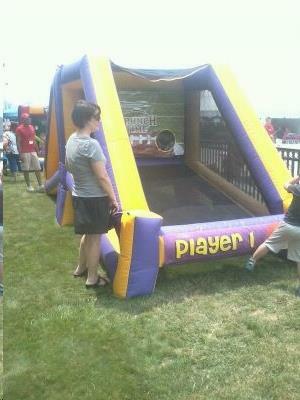 A unique 2 player inflatable football game rental. This inflatable game is a great competitive game. Each person stands on each side and competes head to head! * Please call us for any questions on our game inflatable football rentals in Cleveland, Chardon OH, Mentor OH, Chagrin Falls OH, Ashtabula Ohio and surrounding communities.